Polling Day – Use Your Vote! Tomorrow, Thursday 1st May is polling day for the local elections here in Wirral. Polling stations are open from 7am until 10pm. You don’t need a poll card to vote, just go along and give the clerk your name and address and you will be allowed to vote. After spending the day in Moreton, talking to residents and dealing with issues of concern, I went over to New Brighton to help our prospective councillor Sue Taylor . There was over 20 people out spreading the word and getting the job done. Thanks to everyone for there tremendous help during this campaign, in about 52 hours time we will all know if the work is to be rewarded as it should be. Time for CHANGE in New Brighton! This afternoon I was out with the team delivering our latest news in Moreton, this evening with others I went out to deliver on the Leasowe estate, it was great that after tramping the streets I was able to take a break and put my feet up on the sofa that had been abandoned fly tipped in Cameron Road. Anyway after resting I contacted Streetscene and asked for the offending article to be collected. Hey come on it really is time for change in Leasowe and Moreton East! Today, with Suzanne and Simon we delivered over 1,000 letters to Moreton residents, teams were also out in New Brighton, Liscard and Leasowe. Thanks to everyone who continue to give their time to the cause. In four days time, hopefully all the effort will be rewarded. In the words of Angela Eagle MP, ‘Watch this space’. This morning along with Simon and Suzanne I was about and about at Moreton Cross and the shopping area talking to local residents and visitors to Moreton about issues that matter to them. One of the issues that was at the forefront of peoples concerns was the parking on the pavement outside the Subway store. I explained that the land in question is not the responsibility of the Council, it is in fact owned by Iceland Store Group. I have, in the past written and sent photographs to Iceland and asked them to take action to repair the damaged pavement and to stop vehicle accessing the area, they promised they would, but as yet nothing has happened. I will be writing to them again this weekend, clearly action is needed before somebody slips, trips or worse, is hit by a vehicle mounting the paved area. Thanks to everyone who stopped and chatted to us, it is your views that matter to us. Recommended for Approval – Why does that not surprise me? Wirral’s Planning Committee will be considering two planning applications concerning the Moreton Brickworks on Thursday 8th May at Wallasey Town Hall, Brighton Street, Wallasey commencing at 6pm. As ward Councillor and assuming that I am re-elected on Thursday 1st May I will also be attending the planning committee meeting, and I will speak in support of local resident’s objections. 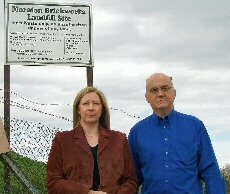 I am the only candidate in this election who has consistently opposed the inappropriate use of this site and who has pledged to continue to do so. 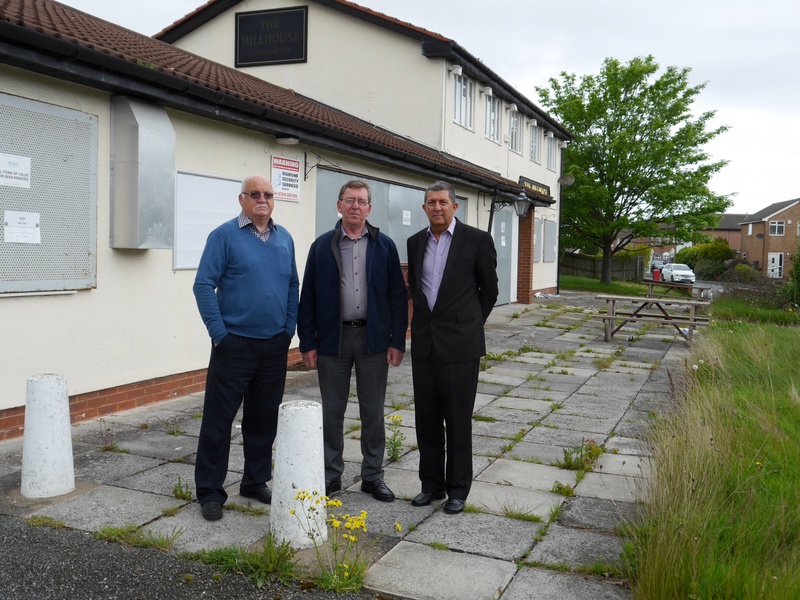 Local residents have put up noise and dust nuisance from this site for the last five years, and now they should be looking forward to peace and quiet, unfortunately Wirral’s Planning Officers appear not to be interested in the amenity of local residents and are saying OK to the applicant. I understand that planning officers, enforcement officers and the Councils legal department have met behind closed doors with the applicant. I asked for copies of notes of the meetings, only to be told they are private! I wonder why? Anyway I have asked for them to be released under the Freedom of Information Act – I wonder if they will be? Anyway, If, like me you are opposed to these applications I would urge you to attend the meeting on the 8th May. It is time to send a message to this Council that, enough is enough.